Singapore Painting Service: How Does Sealer Help In Painting Wall? 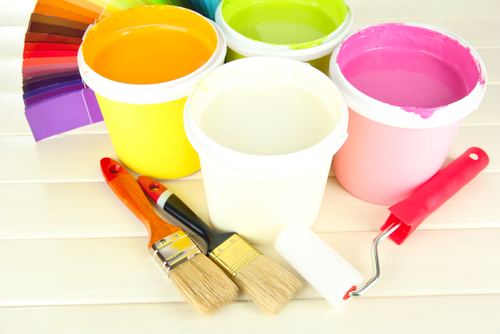 Painting is one of the top home improvements, which is also recommended since it enhances the value of your home. In painting, there is more that is involved. 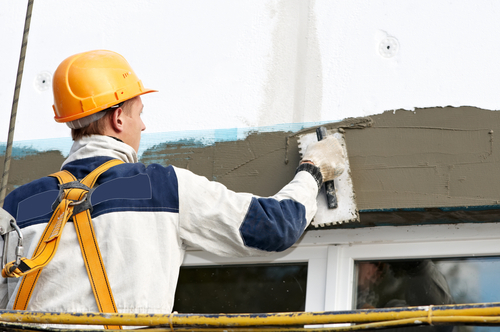 A sealer, or sometimes called primer, is a vital aspect to consider when painting the wall. Sealer is essential when you are painting the interior walls of your home or business unit. Regardless of the brand or quality of paint, a sealer coat helps a lot. And it is quite a priority to consider when you are painting the interior walls. Why should you use a sealer coat on your wall? 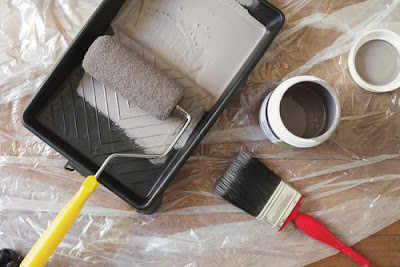 When painting the interior walls, it is advised to apply the sealer coat, before you can use the paint that you prefer. So, why is the sealer coat such a vital layer to consider when you are painting your interior walls? The sealer is known to have natural bonding agents. These bonding agents allow the sealer to stick to the surface of the wall. Even when the wall is old or new, the sealer will stick to it and make it to bond on tightly to the wall. When you apply the sealer to the wall, it will allow the paint to stick to it. With this, the paint will not peel off, like it would when applied directly to the wall. Some paints will not stick to the walls, especially with the old walls. Old walls can have a rough surface that is ruined by the oxygen in the air. Nonetheless, the sealer helps to make the bond and not peel off as it dries off. Another advantage of applying the sealer is that it helps to maintain the original quality of the paint. Some paints will lose the original quality when they are used on an old wall. When the wall is old, it will be chalky, damp, and it might react with the paint. The paint contains some chemicals, which might react with the content of the old wall. If the wall was initially painted, the paint could be absorbed, along with water inside the wall. As the new paint is applied, without the sealer, it can end up reacting with the wall. The chemicals in the new paint can react with the old wall, and a new color will start forming on the wall. Other than a different color forming, the paint can start to crack when it is dry. This might be as a result of the reaction between the new paint and the old wall. Regular paint might not be able to cover and seal the cracks that are on the walls. Nonetheless, the sealer helps to cover these cracks and holes when it is applied before the paint. That is why it is recommended to apply the sealer before painting the wall. When the cracks are covered, the paint will look and feel smooth when it is applied after the sealer. When Do You Need The Sealer? The sealer should be used in many situations, but it is not applicable in all the walls. Some walls need the sealer before applying the paints. Alternatively, other walls will need the sealer before you apply the paint. So when do you need to use the sealer on the walls? The sealer plays the role of covering the stain that is on the wall you intend to paint. With this, you will have a clean surface that you can then apply your preferred paint. If the wall is old and porous or has some cracks on it, it will need to be covered before applying the paint. The sealer helps to cover every hole or crack that is on the wall, thereby giving you a soft surface to apply your paint. So if the wall is porous, or if there are some cracks in it, you will need to apply the sealer before you start painting it. Suppose the wall has peeled off in some areas, leaving it to be unlevelled, it will mean that the paint will take the same surface. In the long run, the paint will appear to have some recessed areas, which might not be pleasant to the eye. The sealer will help to level the flaked off areas and make the final paint look leveled. Most of the chalky walls tend to be slippery when you apply paint to them. The powdery surface will mean that the paint will not bond or stick to the wall. That is why some paint will peel off as they are drying on the wall. The sealer acts as an intermediary between the paint and the wall. So with the chalky surface, the sealer will create a sticky surface that you can then apply your paint. When the paint is applied, it will not peel off, even when it dries off. If the wall that you intend to paint has a dark color, the best solution should be to apply the sealer, which will then create a surface to apply the new paint. This also helps you to save money in the long run. A sealer tends to be less costly than a regular paint. So instead of applying more paint to cover the dark paint on the wall, you can apply the sealer to cover the wall. The sealer is also thick enough, and you might only need a single coat then you apply the regular paint. If you were to apply the regular paint in the dark color, you might need almost four coats to cover the color completely. This can be too expensive. You can contact a renowned painting company to get more tips on how to manage your interior wall painting. With the sealer coat, it helps you to save money. Also, it will make your wall look elegant. Always choose a high-quality sealer to enhance the final surface of the wall.